Beyond even her value as a truly gifted and accomplished attorney, Barbara Ann Alexander has provided her skills to MF&G for many years, in different capacities. She currently serves as a Consultant and formerly served as the Head of the Commercial Department and as the Firm's Managing Partner. Her determination, vision and lead-by-example attitude are only matched by her expertise in Banking, Project Finance and Real Estate Law. Additionally, Barbara is also a former director of Lex Mundi, the world’s leading network of independent law firms. 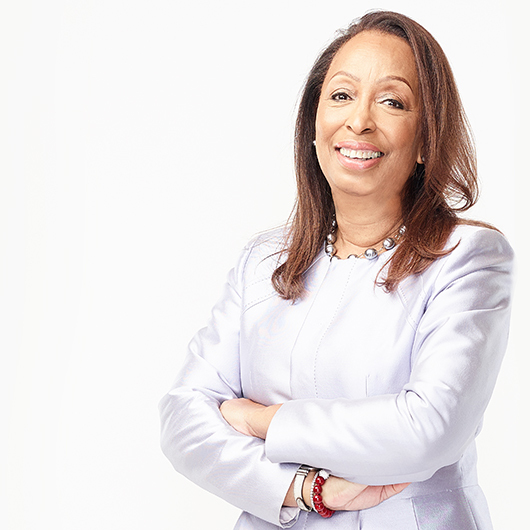 As Head of the Commercial Department, Barbara's duties included serving as Legal Counsel for the Financial Sector Adjustment Company (Finsac) in the refinancing and reorganization of financial institutions. She also provides Counsel for local and international financial institutions including commercial banks and building societies in corporate finance and securities transactions. In the field of Project Finance, she has served as Advisor to the concessionaire in the privatization of the Sangster International Airport. In the realm of Real Estate, Barbara provides her expert Counsel to developers, both international and local, on hotel and residential development. In her spare time, Barbara enjoys art and design, gardening, traveling and reading.